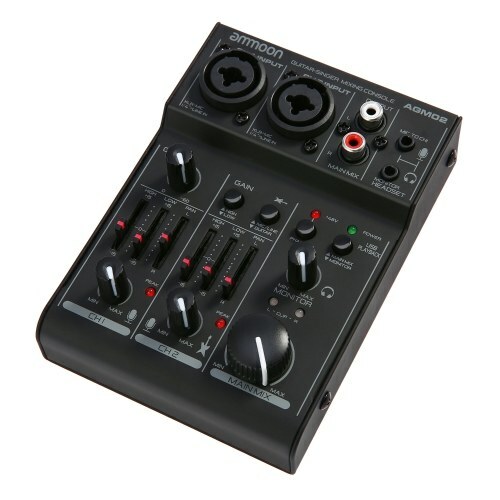 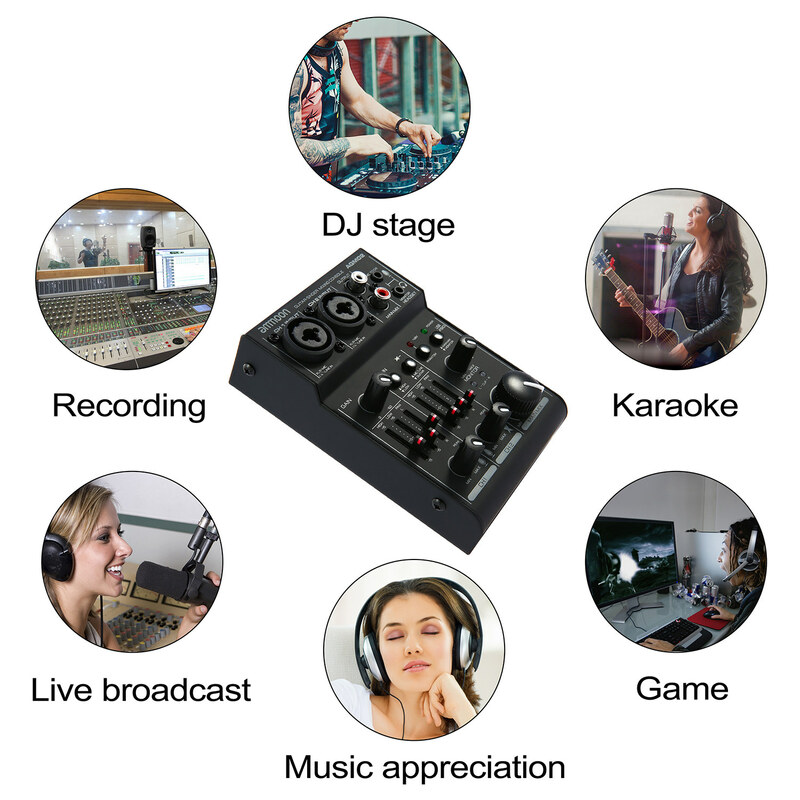 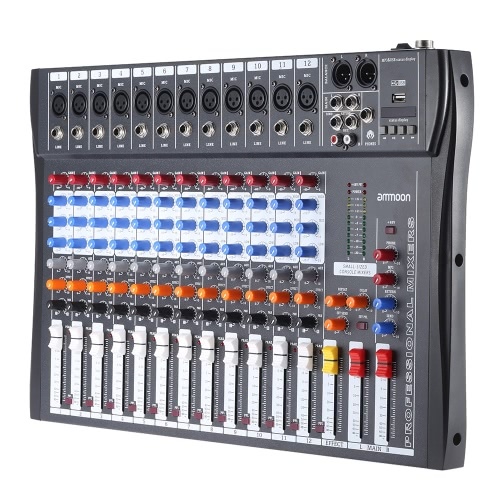 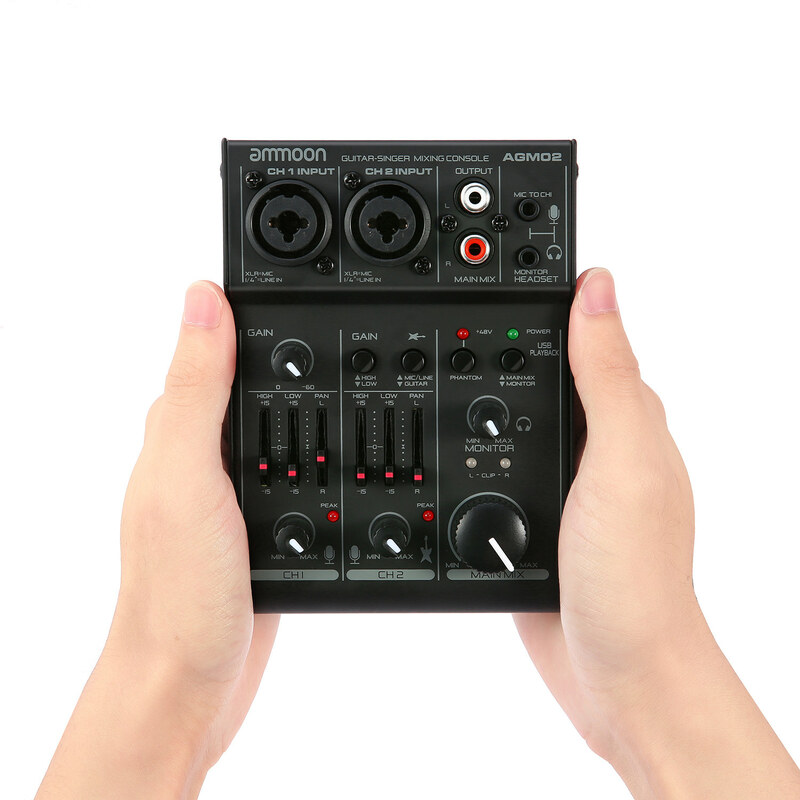 Super mini 2-channel mixing console designed for home stuido recording, network live broadcast, karaoke, etc; 5V low voltage power supply design, can be powered by computer or 5V power bank through the including USB cable, easy to carry and convenient to use. 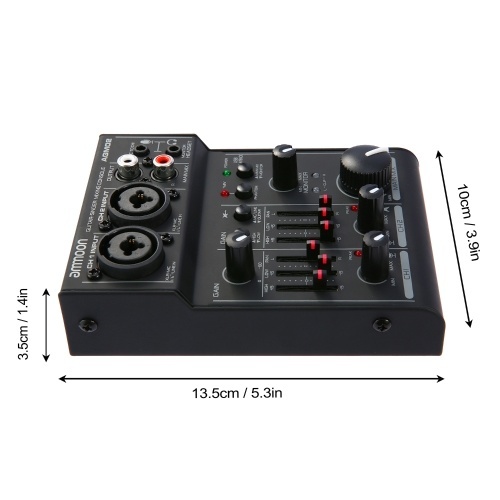 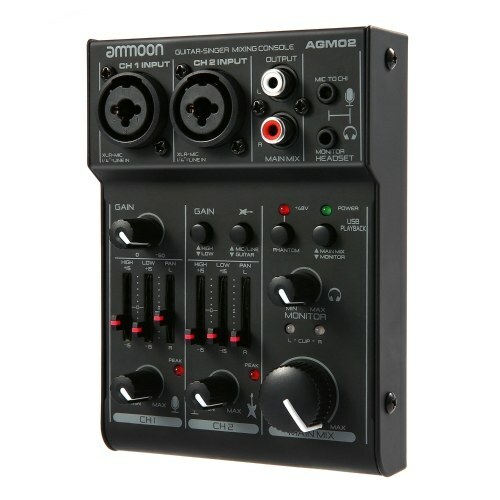 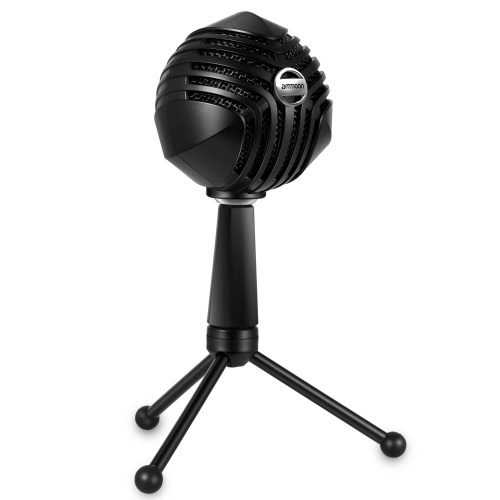 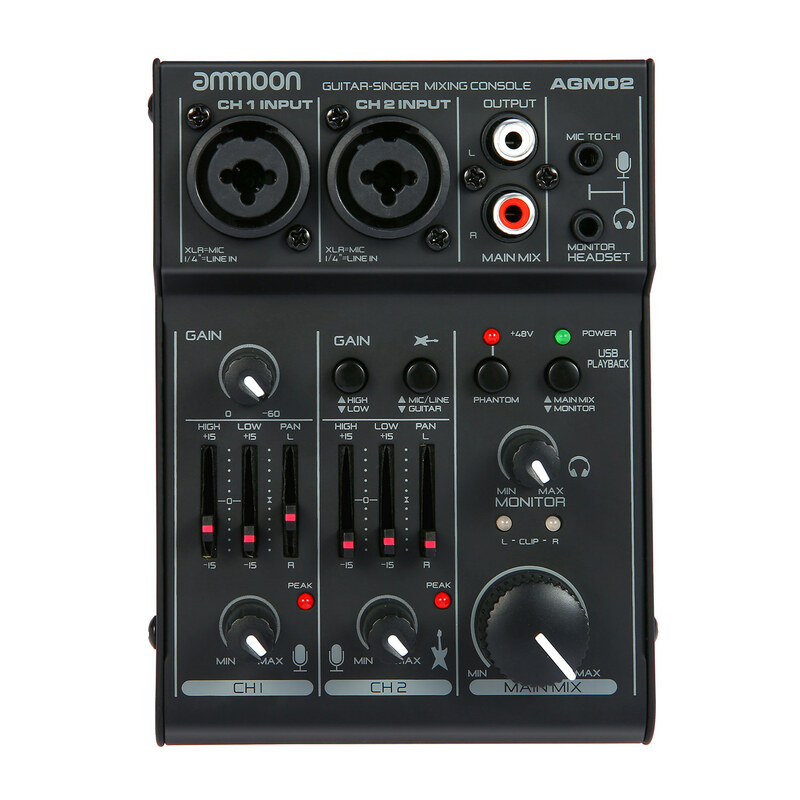 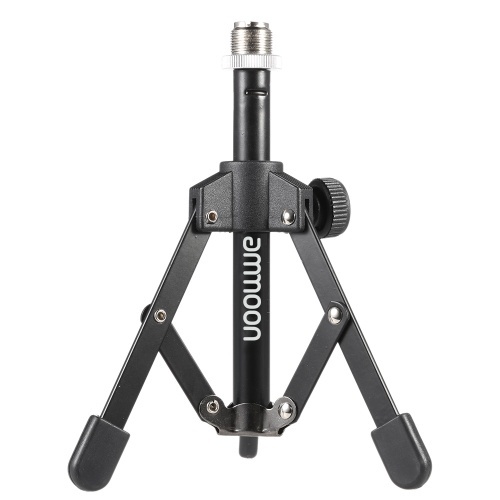 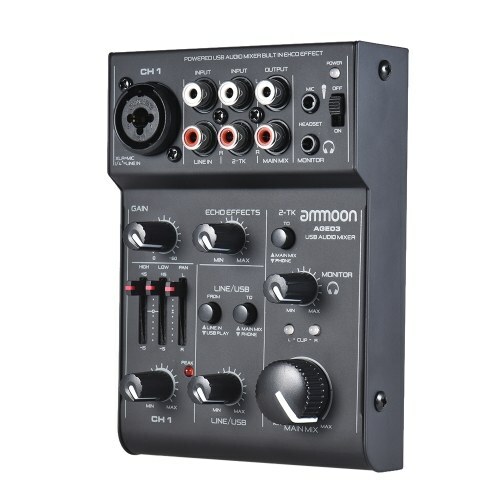 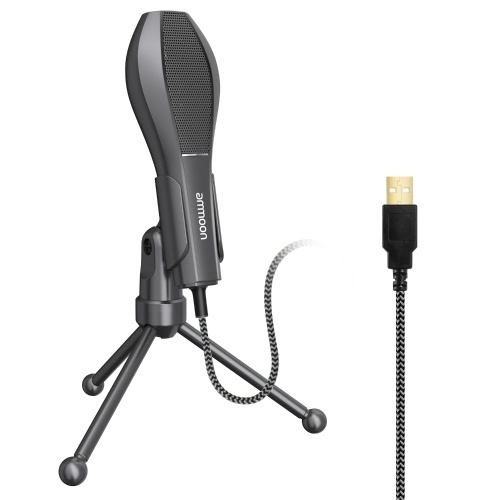 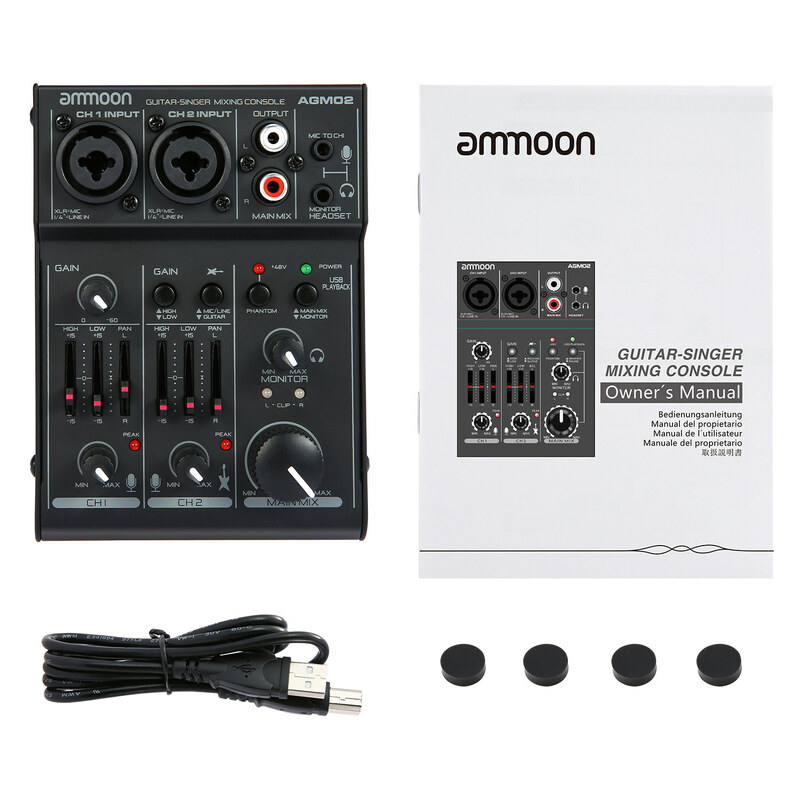 With two TRS & XLR combined mono inputs for connecting microphone, instrument or other audio device; RCA(L&R) outputs for connecting amplifier or recorder; 3.5mm headset connection includes MIC IN and PHONES jack to avoid unnecessary noise. 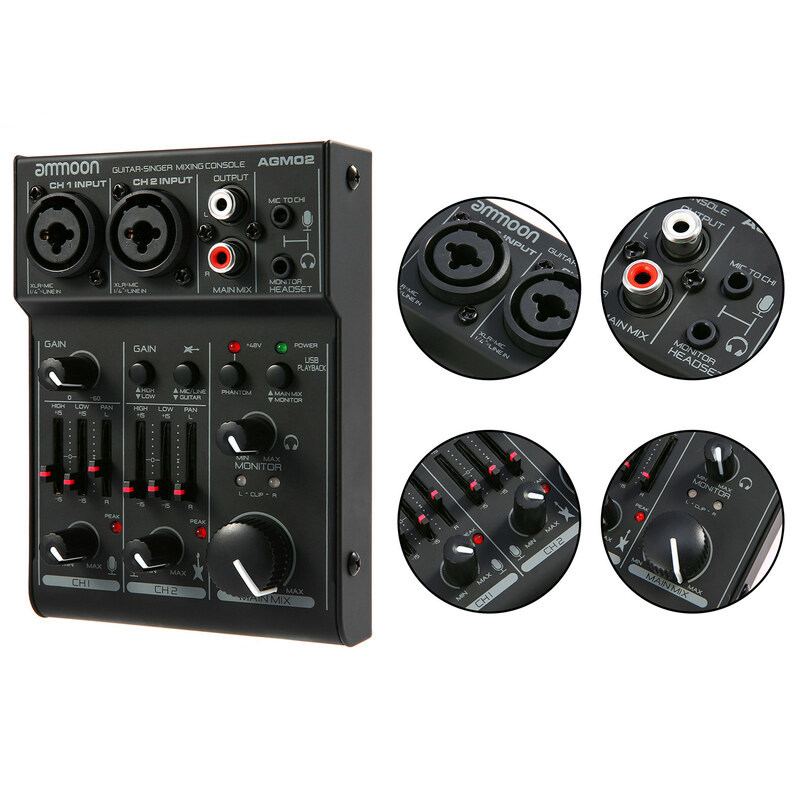 Each channel has 2-band EQ(High & Low), PAN(panorama/balanced) and level controls; CH1 supports GAIN adjustment(0 to -60), CH2 with GAIN switch to determine the basic volume and GUITAR switch for switching the input impedance. Integrated USB audio interface will be identified and addressed as an external sound card when connected with computer, and audio data can be transferred between the computer and the mixer. USB Interface: USB1.1 compatible, 16-bit delta-sigma, 44.1kHz sampling rates, 48kHz max. 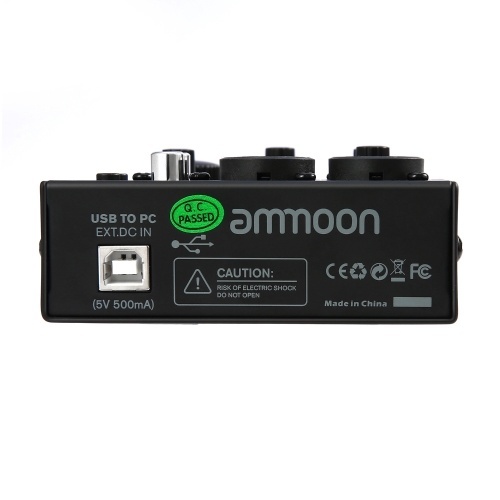 Copyright © 2017 ammoon Inc. All rights reserved.